What is your cybersecurity risk? In the last four decades, the world has experienced an enormous shift in where value lies. Consider that in 1975, just 17% of the market value of S&P 500 companies was tied to intangible assets, including data, intellectual property, and other technologies. The bulk of their value was in physical assets. Today, the numbers have reversed: Just 16% of value is in physical assets; the rest comes from intangibles. This broad reliance on data and information extends to all companies — from automakers and aerospace giants to financial institutions and retail chains. As a result, organizations of all sizes and across all industries are vulnerable to cyber-attacks. And the threats are increasing not only in frequency, but are becoming more severe, diverse and complex, with significant consequences. Despite these massive changes, most efforts in risk management and governance are still directed disproportionately toward legacy assets. Current efforts must also look at digital assets. * The content above and the related image are referenced from the report, “By the Numbers: Global Cyber Risk Perception Survey,” summarizing the results of the Marsh-Microsoft Cyber Perception Survey. How do you currently analyze cybersecurity risk? Until recently, many organizations were limited to subjective evaluation of cybersecurity risk. These technique-based methods are unable to stand up to auditor and regulatory approval, due to their dependency on expert opinion and professional judgment. Our solution provides all of this. Threats. Risks. Vulnerabilities. Capabilities. These are the primary variables in understanding the most rapidly emerging issue for every organization today: Cybersecurity. The Securities and Exchange Commission (“SEC”) recently provided interpretive guidance (effective February 26, 2018) which substantially expands on the SEC’s 2011 guidance on cybersecurity-related disclosures. The SEC states that companies must assess the materiality of any cybersecurity incidents that may occur, as well as any existing cyber-related risks when it prepares and files disclosures under securities laws. 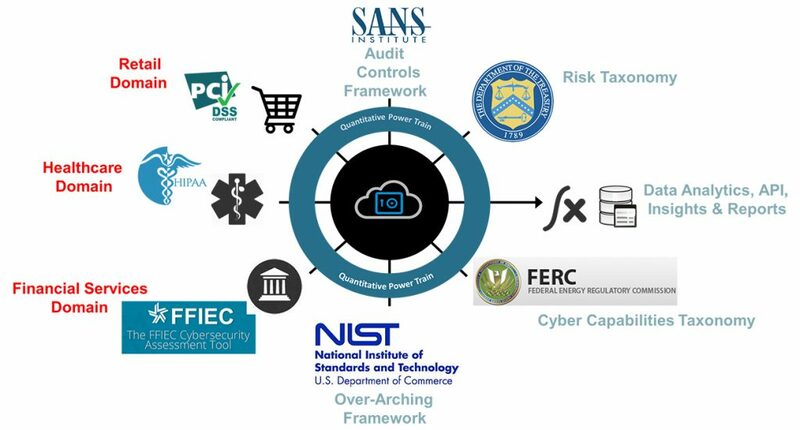 Our analytical platform provides the first detailed and quantitatively accurate map of the cybersecurity initiatives of the enterprise, the relevant regulatory compliance requirements, and prioritized high-impact risks, all against attainable capabilities, using the most recent quantitative innovation and science from current research. Our analytical platform provides a business-based, monetary valuation for the critical decisions in the definition of your cyber prevention roadmap. Consideration of timing, build vs. buy, and results are all delineated in dollars and cents, allowing for informed and transparent decision-making. How do I gain actual knowledge of my organization’s cybersecurity risks? 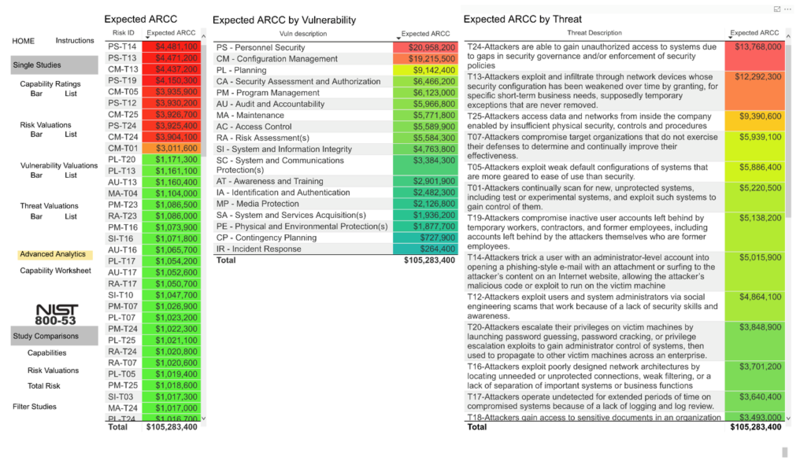 What are my top cybersecurity risks, and what is their relative financial impact? What is the value of acquiring specific cybersecurity capabilities? How can I profile probabilities of various risk scenarios? How would my current risk analysis processes, and the decisions they are being used to drive, stand up in a courtroom litigation scenario? 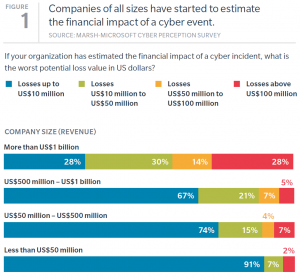 How do risk-related measures like cyber insurance impact the organization? Contact us today to see how we can help you identify and financially quantify your Cyber Risk.